This does sound like a great book! Thanks for the easy recipe too, Susanna! We always do baking at Christmas but this year time is harder to come by since the kids are busy with their adult lives. We need some quick and not complicated recipes so we can continue the tradition without adding stress! We need some quick and not complicated recipes so we can continue the tradition without adding stress! Thanks for stopping by, Glenda. I agree - it's so easy to get overwhelmed this time of year! Let me know how the pecans turn out, PJ! Sounds like you have the spirit of Christmas, Natasha! This book looks great! I have never read her books, But I look forward to reading this series. I always have to make sausage and cheese balls for the holidays, the family loves them. She's a relatively new author who debuted two years ago. She's published five books so far and I enthusiastically recommend them all! Oh, I am so intrigued by this book. Love the idea of a historical romance heroine with ADHD and how she navigates life and love. Am pretty curious about the hero, too! Thanks for sharing the recipe for cinnamon pecans. Those will be lovely on a cheese tray with some dried fruit and a glass of wine. I think they would add some great spark to a spinach salad, as well. I just took a batch from the oven, Lil. They would be fabulous on a spinach salad! I loved the recipe for the pecans. It sounds wonderful. There was a time when what I wanted every year for Christmas was at least one book. Now, I am the one who gets me my Christmas, I am able to indulge me. These two characters do sound like people who would be interesting to know. Since I like a good mysterious puzzle, I will like this book. Sometimes the best gifts are the ones we give ourselves! Hope you have a wonderful Christmas, Annette! Thanks for introducing me to another new-to-me author. Historical romances are my favorite genre and this book sounds like an exceptional read. Looking forward to finding more by Susanna. And thanks for the recipe for the Cinnamon Pecans. They sound delicious and I am saving the recipe for future use. I think my family will love them. 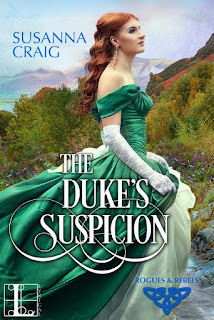 Susanna Craig is a new author to me - this story sounds like the kind I enjoy. We had a tradition that we haven't been able to do in a few years. My husband and I enjoyed it and miss it. It started over 40 years ago. We were an Air Force family and we lived on base. A friend showed up Christmas Eve when our girls were 2 and 4. He was dressed as Santa, sat with the girls, and read them "TWAS THE NIGHT BEFORE CHRISTMAS. They were awestruck. This man was not that tall and was skinny, but it didn't matter. To the children he was Santa. He had been doing this for many years for his friends children. That same year my husband started wearing a string of large sleigh bells when he did his evening jog around the housing area. Many neighbors commented how excited their children were when they were sure they herd Santa's sleigh Christmas Eve. When our girls were older and we had moved, my husband got a Santa suit and started doing the same thing for our neighbors. When our girls were old enough, they dressed as elves and went with him. We live out in the country now and there are no young children nearby. That plus our friends are all well into grandparent territory with the grandchildren far away like ours. It really is a tradition we miss. We have gone to several nursing homes as Mr. and Mrs. Claus and have done Santa at church a few times. It isn't the same as the Christmas Eve visit and I really do miss it. Susan, you are a new author for me. 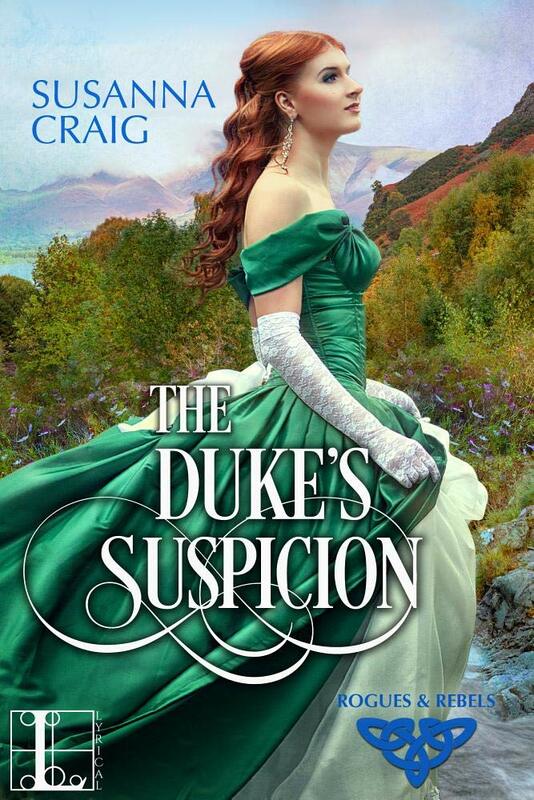 I really like the sound of THE DUKE'S SUSPICION. I appreciate an author using characters that don't fit the usual mold. We have a daughter that is ADD and a son that is ADHD. It is still difficult for them to fit in. School years were difficult and especially for our son, fitting into someone else's schedule and routine is problem. I hope you have a great Christmas and a wonderful 2019. Patricia B. - I am still having issues signing in to Google. What wonderful memories, Patricia! I hope you have a wonderful Christmas! Love it! Thanks for stopping by, Denise! Sounds like a great story. I'm a retired teacher and have worked with many students who suffered from ADHD. It's not easy for those who have it to fit the role of normalacy. It's like fitting a square peg in a round hole. They need to find coping mechanisms to help them adapt and play school. At least that's what I've called it when my youngest son, who has processing problems, figured out what would work for him to be successful at school. I love the recipe. I'm going to make some to try and share. I'm a teacher too, and those experiences are some of what I drew on when writing this story. I hope you enjoy it! Sounds like something I would enjoy reading. We have a tree trimming party every year. Lots of food, family, friends and fun and the tree gets trimmed! I always said I should have one for when I take it down instead lol. A taking down party - great idea!! It always makes me feel a little melancholy to take the tree down, so having everyone around might make it fun instead! Suzanna, your book is definitely a book that I would love to read. My husband and I can't eat nuts, but your receipt dos sound delicious. I've made myself a traditional English Fruit Christmas cake this year. I made it in October and have been feeding it every week with brandy to keep it moist. I put the marzipan on it yesterday, and will ice it this weekend, and then put the Christmas decorations on top. Oh, Diane, your fruitcake sounds divine! Merry Christmas! LOL! I would be happy to share, Hellie! Thanks for suggesting her books to me PJ! I haven't read this author. Thanks for the interview. Merry Christmas Susanna! I loved this story!! I always give books to my three small nephews at Christmas or birthday. I love this nut receipe. My sister in law makes this one and it is addictive! My brother and sister in law have her old farm place and it has a lot of pecan trees! !